Elizabeth was a good child growing up. She always tried to help others and loved to hang out with her friends. She was always kind and loving to everyone she met. She is extremely protective of her two brothers, Damon and Stefan, but especially of Stefan. Elizabeth is extremely loyal and brutally honest when it comes to the things she cares about. Elizabeth is not one to show her true feelings and emotions to people she does not trust 100% but once she gets to know you better, she will tell you anything you want to know. Salvatore Family is one of the Founding Families of Mystic Falls. The family originally comes from Florence, Italy, as evidenced by the Florentine seal on some parts of the Salvatore Boarding House. 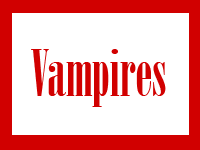 The Salvatore Family has been linked to both the Petrova Family and the Bennett Family since 1st Century BCE, also known as the Biblical Times. The Salvatore Family has also been linked with the Gilbert Family, the Lockwood Family, the Fell Family, and the Forbes Family since the mid 1800's. Like the Petrova family, the Salvatore family is also known for having a bloodline of Doppelgängers, known as the Salvatore Doppelgängers, starting from their earliest known ancestor, Silas the world's first Immortal man. According to Qetsiyah, Salvatore Doppelgängers are destined to meet and fall in love with the Petrova Doppelgängers as the Salvatore and Petrova Doppelgängers are spawned from Silas and Amara, who were soul mates who became the world's very first immortal beings. Elizabeth was born on October 31, 1843 on a dark and stormy night. Her mother was in labor for 13 hours with Elizabeth. But when she was born, and her first cries sounded throughout the house, the storm had stopped, as if to signify the arrival of something pure and beautiful. Which was what Elizabeth was. She was a good child, never giving her mother or father any trouble. Most of the time, she wanted to be by Damons side, as he was her older brother. But then Stefan came along, and all of her attention was put onto him. She vowed to always protect her younger brother even though as they got older he ended up being the one to protect her most of the time. Elizabeth grew up in the small town of Mystic Falls under the watchful eyes of her brothers, Damon and Stephan. She was their pride and joy. At least until they met Katherine. After Katherine came along, her brothers more or less ignored her for the Vampire. THis upset Elizabeth enough to confront Katherine. Which is how Elizabeth became a vampire. Elizabeth was the last of the Salvatores to be turned into a Vampire.